Yes, the future of retail is online. Whilst some may claim that it’s easy to pull off, pulling it off the right way can become difficult. So how do you start an online business? We’ll show you how. In this extensive article, we’ll help you set up shop from the ground up whilst we try to keep you away from the pitfalls that other companies have fallen into – trust us, there is a lot for you to watch out for. 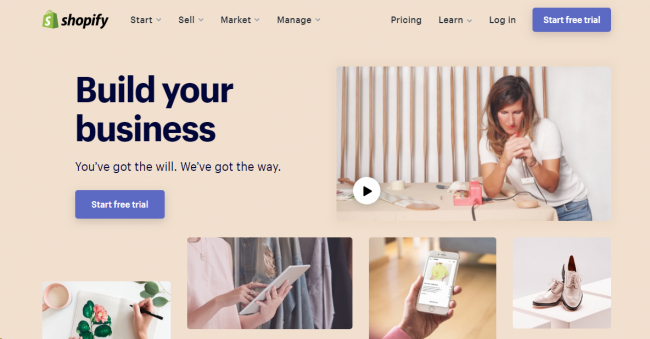 From the business plan to maintaining your website, we’ll give you all the actionable strategies you will ever need on the topic – how to successfully start an online retail business. Why Start a Business Online? Step 14.1: Social Media Channels – Choosing the right one! Note: We’ve divided the product aspect of the business into two parts, the first being focused on choosing the right product and the latter on marketing and pricing your product once you’ve set up shop. 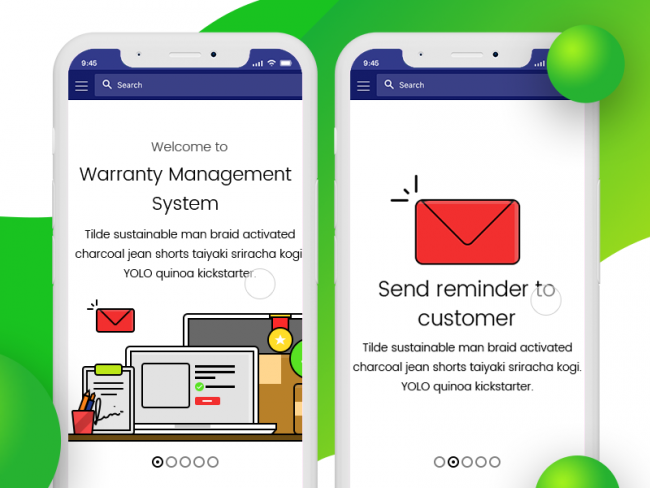 Regardless of whether you have a physical business and want to branch out online in order to capture a larger market or if you want to run a business 100 per cent online, it is absolutely undeniable that there are plenty of merits of maintaining an online storefront. First of all, an online presence guarantees that you can capture a larger audience being equivalent to increasing your market share considerably. 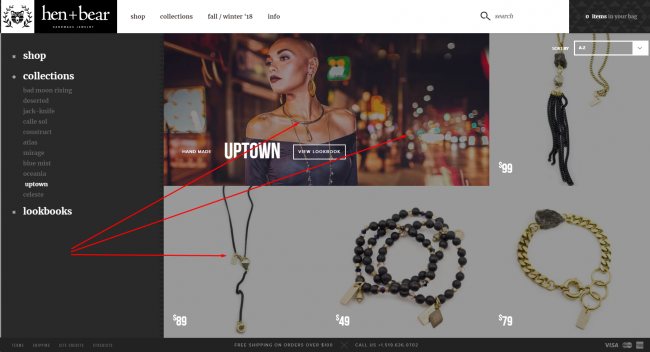 When executed properly, many physical businesses that have decided to start online storefronts have reported increases in sales. But, we’re not even through yet. The convenience provided to your future customers and the current clientele is also undeniable. People can browse and check out new products on your website plus you have the option to convert “catalogue shopping” into an actual sale immediately. Customers can even compare prices! Lastly, it is cost effective to maintain an online retail business. Yes, you do have to spend more on warehousing and there are costs of maintaining a website, but compared to a storefront, it is only a fraction of the cost. In the United States, 36 per cent of shopping budgets are spent online and online shopping values are increasing at 15 per cent compared to brick and mortar at 5 per cent. The first step in the whole process is choosing a product or a line of products to sell, whether it be products dedicated to the beach or more specialized products such as a line of electronics, picking your product is the most critical part of the equation. The first step in finding a perfect product is to choose something that really matters to you. If you’re an audiophile with a blatant dislike for hiking, it would make more sense to sell headphones than camping equipment. However, there are ALWAYS exceptions to this rule. If you have easy access to products that are innovative with potential demand, then you should seriously consider trying to sell and market these products online. Is your product going to solve a major consumer issue or pain point? Looking for product selling opportunities by analysing keywords. Capitalising on fads and trends in the market early. A particular market niche that you want to sell to. And, of course, as mentioned earlier, your particular passion. Once you’ve picked a product you have to consider the legalities of selling. For you to be able to sell you need to be able to have a UPC barcode for the products. 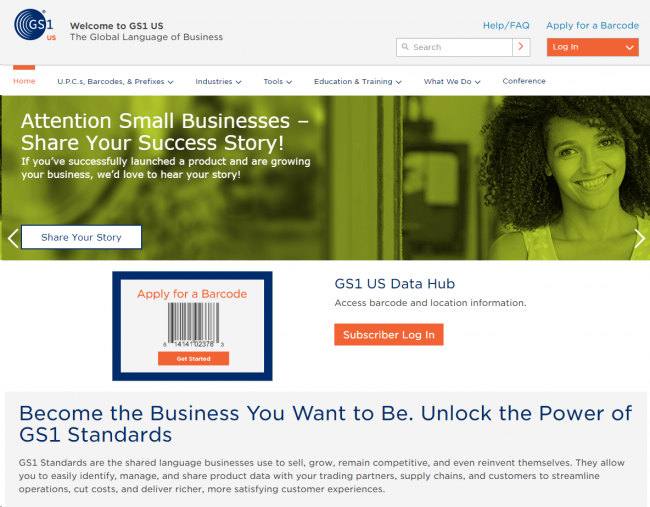 A way of doing this is to apply for the barcodes that you need through GS1 US. Estimate the number of products you want to sell and the different variations of the products and start applying for the barcodes as soon as possible. In this way, you’re already prepared for the initial products that you will be selling on your site. Determine the number of products that you would want to stock and then make sure that you have factored in how long it will take for you to replenish your stocks swiftly. 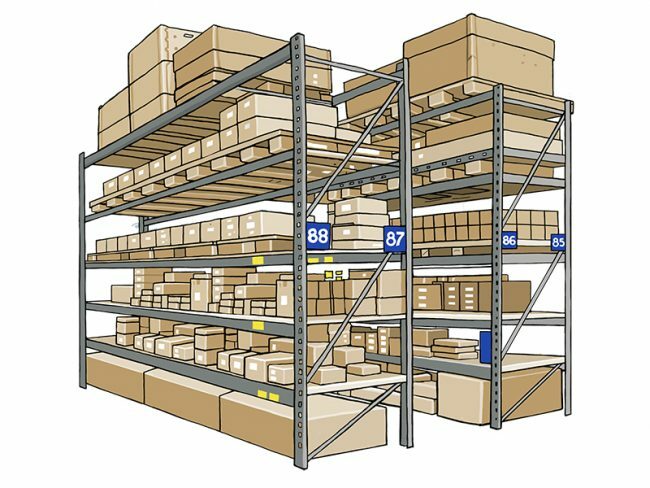 You want to avoid system bottlenecks so it is best that you’re familiar with the ETAs of the products coming from production to your warehouse. As if this isn’t enough. Never forget. 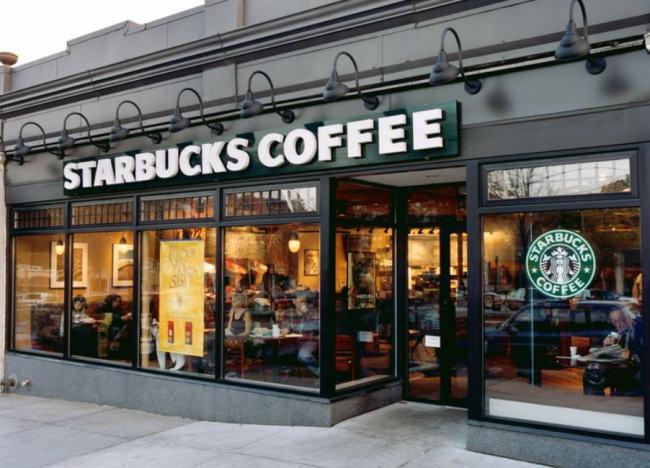 Customers HATE waiting, so make sure that this step is thoroughly hammered out. This might be the boring part for most of us, but it is one of the more essential steps after picking out the product that you want to devote time and resources to selling. The business plan contains all the pertinent information with regard to your business and it is best that you have this hammered out even before you start picking out domain names. It should contain everything in relation to your business strategy and even your personal vision for the company. But, wait, here’s what you need to really remember. If you already own a physical retail store, then the business plan for your online business should be completely separate from it. In fact, we will fully advise you to create an independent online business plan and not just add it as an addendum to your physical store’s business plan. It should contain financing information, your advertising and marketing strategy, projected operational costs, operational requirements and systems, and of course, the executive summary of your vision for your business. It is best that you write it yourself in order for you to identify the challenges that you might face. We’re devoting a section to this for one reason; we are always in a hurry to start making money that we often forget the basics. Make sure that you have a business number, a real address where your customers can reach you and a company email setup. You have to understand that customers are people and people are relational. They want to be able to trust you in order for them to do business with you. We’ve briefly touched on this when it came to inventories in the product section earlier and it should be included in the business plan. 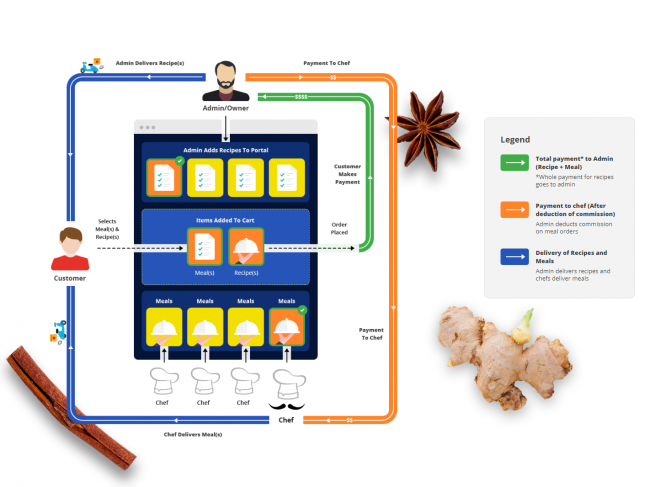 What exactly is the business flow? The business flow is basically all parts of the operations of your business. Think of it this way, how do you go from purchasing inventory, selling it in your store, delivering it to your customer, restocking the inventory, paying for your loans, maintaining the cash flow, resolving customer feedback and going back at it again? This is not by any means a complete flow of business nor is it applicable to any business type, but it should provide a general guide to developing a business flow. Make sure you have a flowchart ready for you to be able to visualize your entire business operation. At this rate, you should also have another one for things like refunds and returns, what happens during a product pullout or a sale? And, contingency flowcharts, too. Now that we have laid down all the important groundwork we can now move on to creating your online store and this starts with choosing a hosting provider. We’ll be discussing two ways of doing this, the traditional way and the easier route, with both having their benefits and caveats. A hosting provider is where all the files of your website will reside in and a domain name is the address that you type into your browser’s address bar. You need both to build a website and you have the option of purchasing them from different providers or purchasing both your domain name and hosting from one provider. Bluehost is an example of one of the biggest web hosting services in the market. 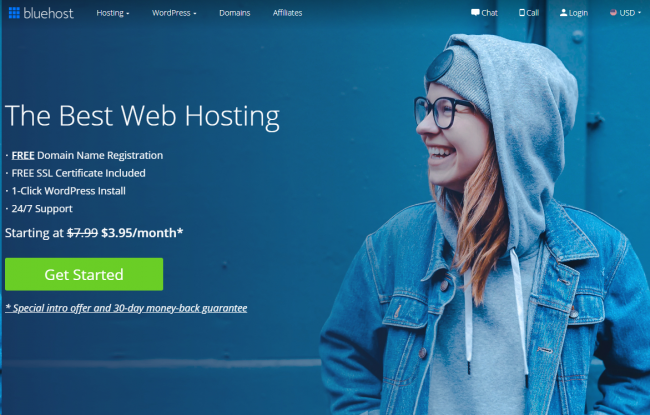 One major consideration that people have in choosing a hosting option is the UI, smaller companies have easier to use interfaces and the larger ones can appear clunky. 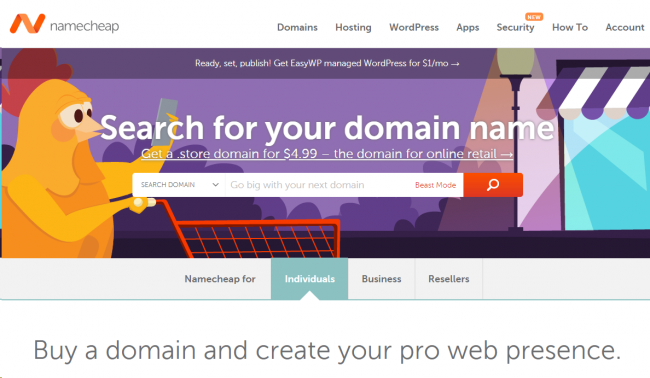 Namecheap is a great example of a popular domain name provider that also provides hosting. Think about it this way, let’s say you want to buy yourself a domain name from Namecheap because the domain that you want is available there. However, you want to use Bluehost for your hosting, you can easily do both by pointing that domain name to your hosting provider. Is it short and easy to type? You should be using keywords for SEO purposes i.e., helping your customers find your store by typing the product names. Are you targeting a particular geographical locale? What’s your domain name extension? Less popular domain names might be cheaper but everybody loves the .com extension. Don’t believe us? 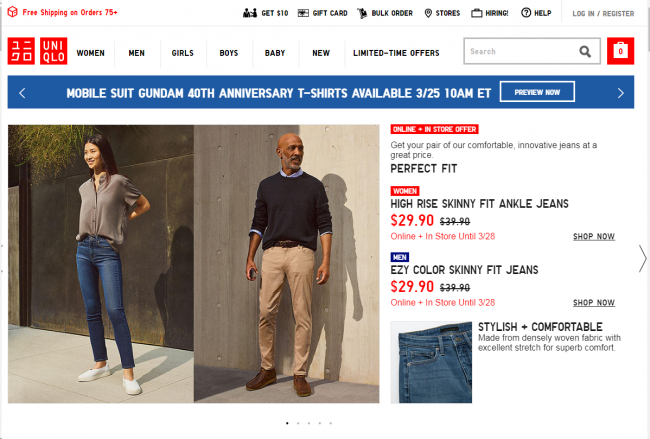 What extensions are major ecommerce sites using? There you go! 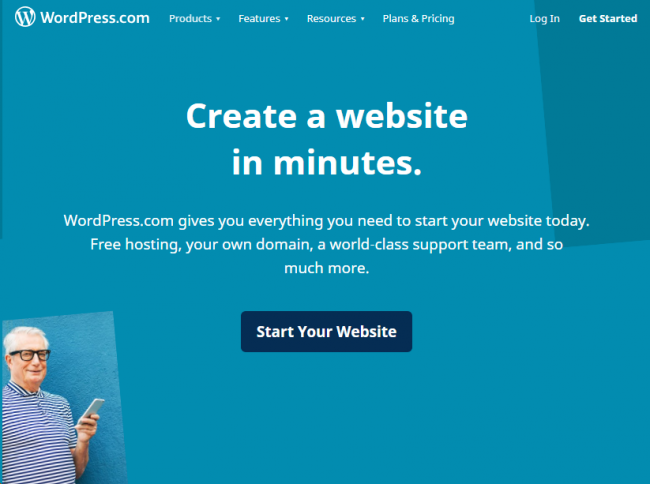 Your next step is installing a content management system (CMS) and a popular option is WordPress. A content management system allows you to interact and post content on your website. There are a lot of them available, but it’s best to stick to the more popular ones. 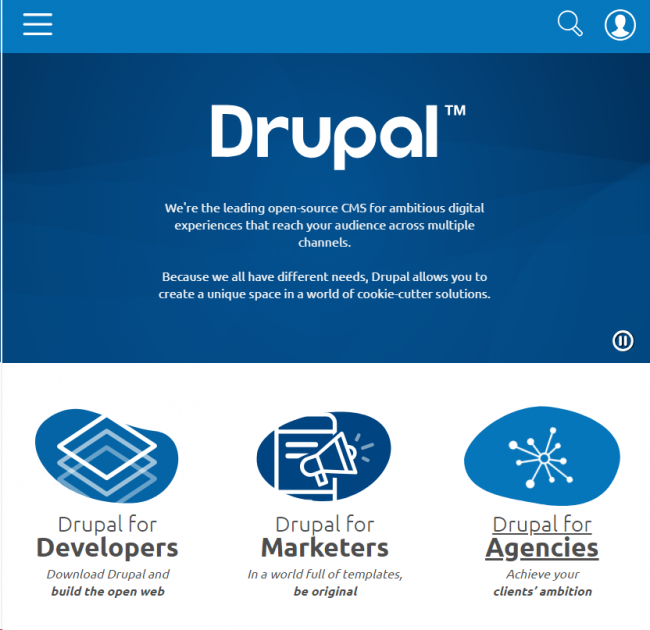 Once you’ve installed your CMS you are now ready to start building your website. It is best for you to hire a team of experts at this stage if you’re unfamiliar with the process of building a website. 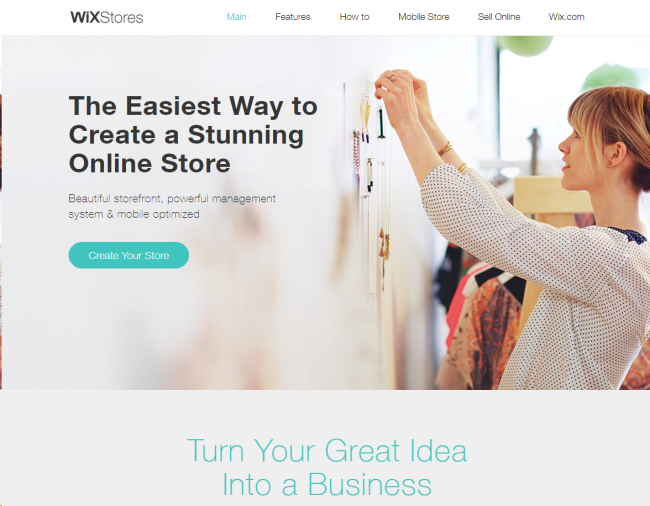 If you don’t feel like you have the expertise, time or budget to go down the traditional route, you can always go towards the more popular ecommerce options such as Shopify and Wix eCommerce. What’s great about these options is that if you consider yourself an intermediately computer savvy person, they provide options for you to be able to do everything yourself without enlisting the help of digital marketing experts. The other good news is that these services make everything easier for you, you can purchase your domain name through them, they provide you with site builder tools, and come with instructionals that will allow you to be able to pull off a site quickly. However, there is a major catch. These popular options will only take you so far. If you want real customization and real functionality, it is still better to start everything the traditional way. This will allow you to really make sure that your vision is being followed every step of the way. Your storefront is the face of your business and by this time you should be working closely with your designer and digital marketing expert. 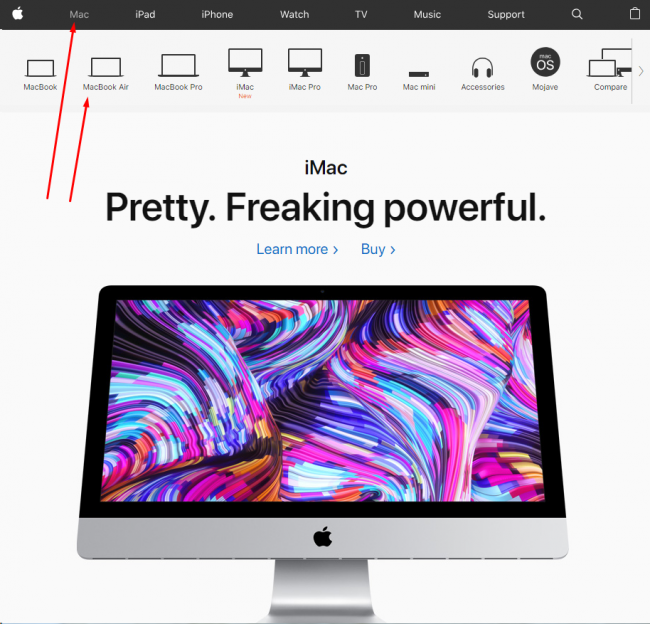 The most important part of the whole experience of designing a storefront is not necessarily the design but the user interface. Take a page out of Google’s book, everything they build is designed for the user. This ensures that the people that are on your site can interact well with your site meaning more conversions. At this point, you also have to look at your conversion rate optimization (CRO) optimization strategy. This basically means studying what will attract your customers to click buy on your website. Make sure that your calls-to-action (CTAs) are easily visible and that you have enough to be able to provide the user options to buy immediately from your store. We leave you with the reminder to keep them simple and not too annoying, lest they turn your site visitors off. 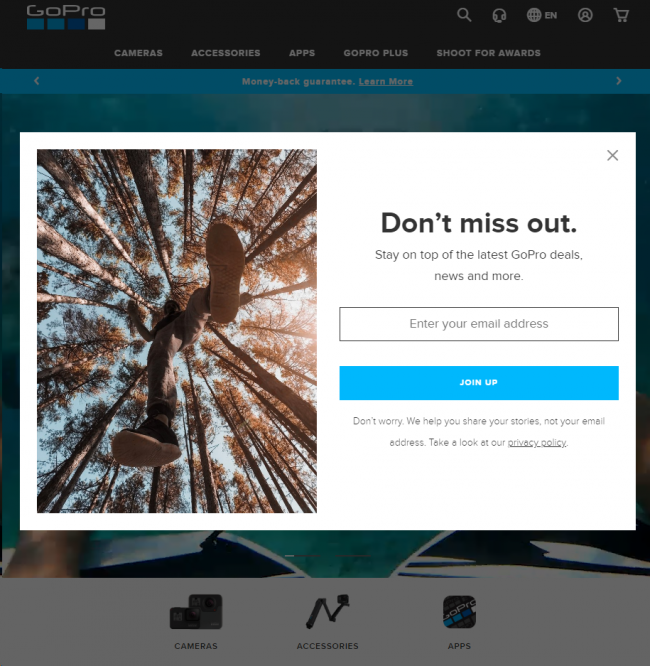 Check out the GoPro website and this simple popup CTA. As you can see they only ask for your email and nothing else. This allows the user to immediately to get back into shopping. There’s another benefit to this method of grabbing the email early into the visit and we’ll revisit that in the shopping cart section of this article. What’s Up “Above The Fold”? As you can see with this example – and it isn’t even an ecommerce website mind you! 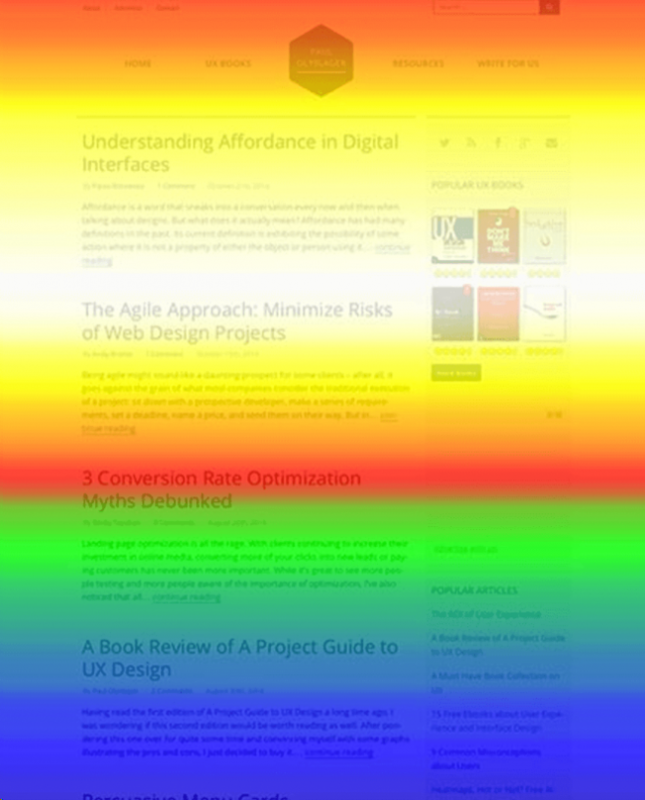 – Users spend more time “above the fold” – part of the website that shows before you scroll down. The design of your website should reflect the theme of your website and should be easy for your users to navigate through. There have been numerous stories of people being lost in ecommerce sites and ending up not purchasing anything altogether. It’s got its main product lines on top and its sublines underneath. It’s basically a no-brainer if you think about it. When setting up your website make sure you opt to purchase an SSL certificate alongside with it. There is money involved, and with money comes security concerns. 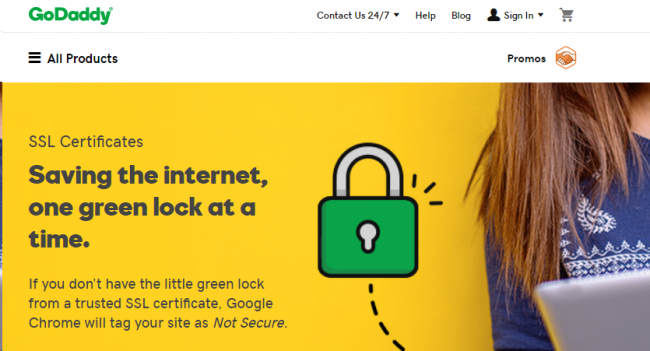 Having the site secured with an SSL certificate benefits not only your site but also your customers. Do not underestimate the seemingly lowly nature of the shopping cart. It can either make or break your business. If you opt to go for an ecommerce platform, setting up the shopping cart should be remarkably easy. Do my customers trust me? Hosted shopping cart software is the way to go here because you benefit from the security that you can get from it. 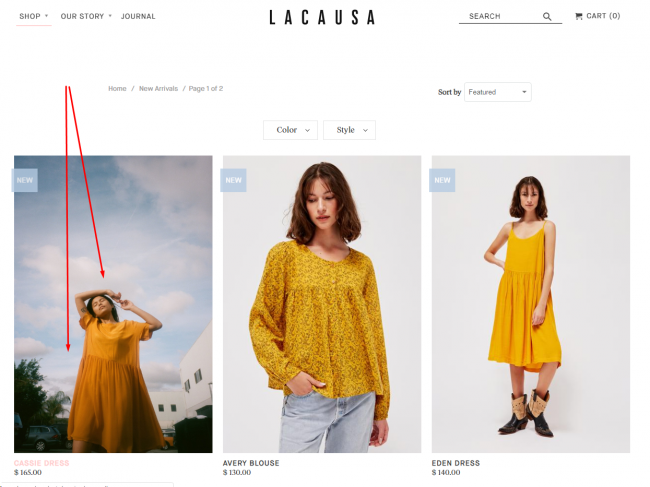 Remember that going with self-hosted shopping carts might turn off new customers especially if you’re new in the business because they do not know the basis on which to trust you. One great thing about grabbing a customer email early or making them sign up for an account on your site is the fact that you can send them reminders should they abandon their carts. Here’s the thing, what some ecommerce business owners don’t realize is that you can still make the sale even though your customers have abandoned their carts mid-shopping. 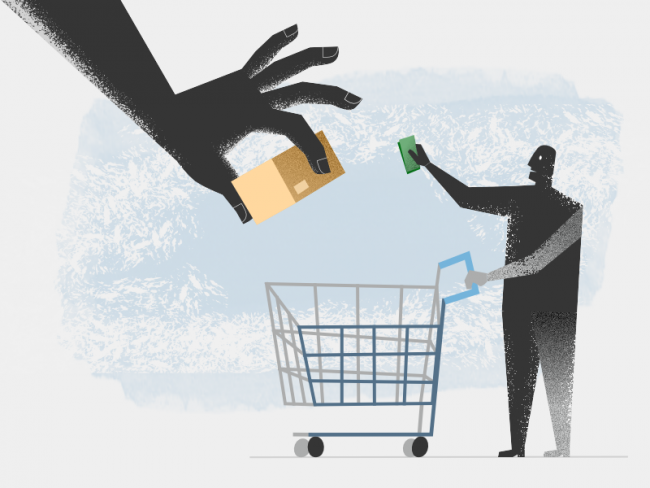 Now, we don’t want to get into why they have abandoned their carts but studies have shown that if you put in the right protocols in place you can still make money out of abandoned carts as long as you send them an email reminder. Now that you have successfully set up your website – along with the tips that we have placed beforehand (please follow them) – it’s time to get back to your product. Let’s start with the cliche that a picture is worth a thousand words. The pictures of your products form the major selling point. 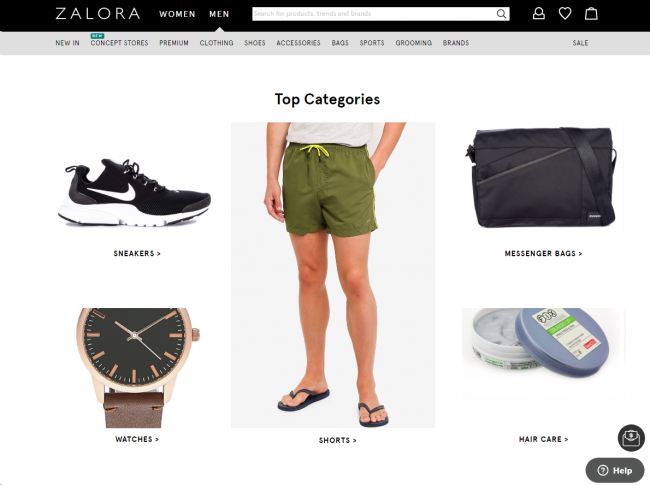 Check out how Zalora does it. As you can see everything is neatly and clearly photographed in order for you to be able to appreciate the product at its fullest. You’ll find no pixelation in the photographs and they show you the products in their full glory. However, this is not the only way that you can pull this off. Better yet you can combine both strategies to really build up the product in all its glory and show lifestyle photos, too. As you can see these are just bracelets and accessories that you can use on a daily basis, but having the photo above gives you an air of urban chic high fashion, plus including the standalone photos is a great addition, too. Depending on what you’ll be selling product descriptions can vary entirely. Technical products have to be described in a clinical manner, whilst lifestyle products pretty much need to be described with the lifestyle that it entails. 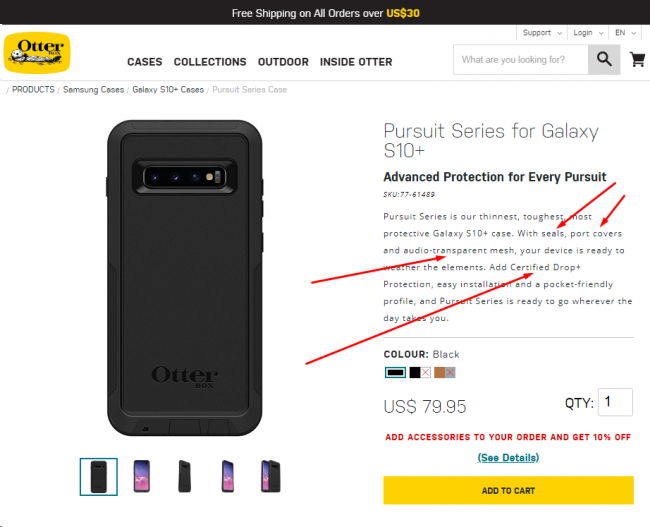 There must be a connect between the product picture and the product description. Keywords should be included in order to optimize for search engines. Be able to fix a problem that the consumer has or enhance the lifestyle of the consumer with the product at hand. And lastly, make sure that you are writing to the right audience or everything will be in vain. Don’t forget, just because you have a technical product doesn’t mean that you can’t be creative with your descriptions. The normal person will visit three websites before they decide to actually make a purchase and positioning your products properly will either make or break you. It is a given that things online are predominantly less expensive than products that you can buy from a physical store. However, it doesn’t mean that you have to forego pricing strategies and just aim to be the cheapest distributor in your market. 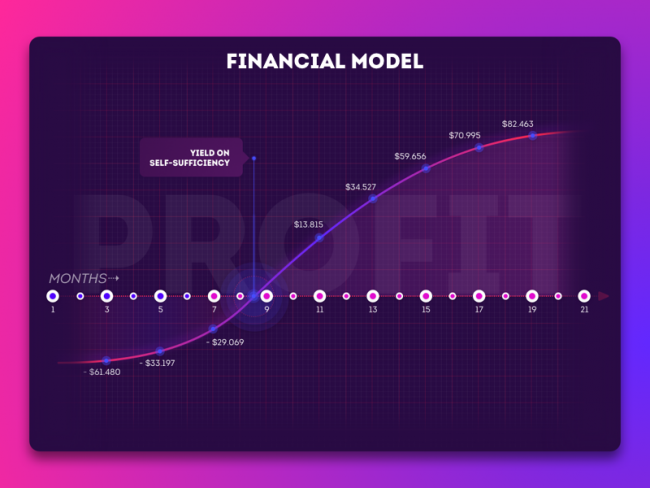 There are a lot of ways for you to go forward with your pricing strategy, but we’ll stick with two types of pricing for the moment. These are consumer-oriented pricing and market-oriented pricing. Both have their own merits and caveats. The number of ecommerce stores has already breached the tens of millions and one of the great ways of determining your product’s price point is to find similar or complementary vendors with the same offerings. To establish this type of pricing strategy you will first have to price yourself within your competitors’ lower and higher bands. The reasoning behind this is that you don’t always have to drop your price, you can still maintain the same margins as your competitors if you just follow their pricing strategy. However, if you find your operations to be of a small scale it will be harder to implement this type of pricing stratagem. 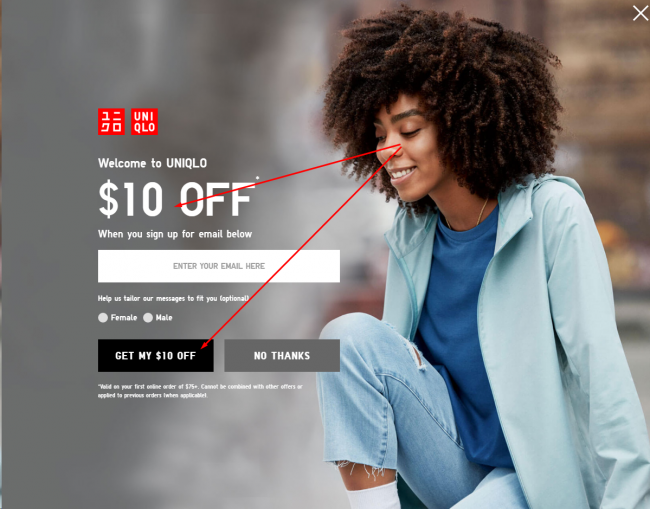 Consumer-centric pricing values the psychology of the potential customer above everything else and this is where knowing your market plays a giant role. This is a pricing strategy where prices are set based on the value that your customers believe your product carries. 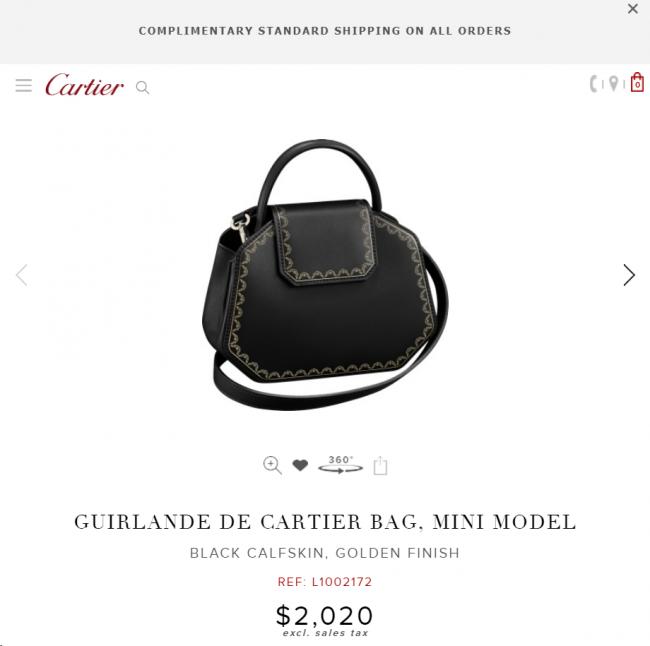 A luxury brand like Cartier can display prices such as these because they take into account their following and status as a luxury good manufacturer. They have an established price point based on their market share of the luxury goods industry. However, if you’re a retailer with plenty of competitors, you should take into account both the price point you want to command from the rest of the competition. There is also an example of technical products that require you to be very honest about the real costs to your customers. If you’re going to add a little more to your price, make sure that it is justified to the target market that you are selling to. Now that you have almost everything set up it’s time for you to consider setting up your means of getting paid. We’ve all heard of PayPal, but for you to be able to process money on a larger scale you will surely need a merchant account. 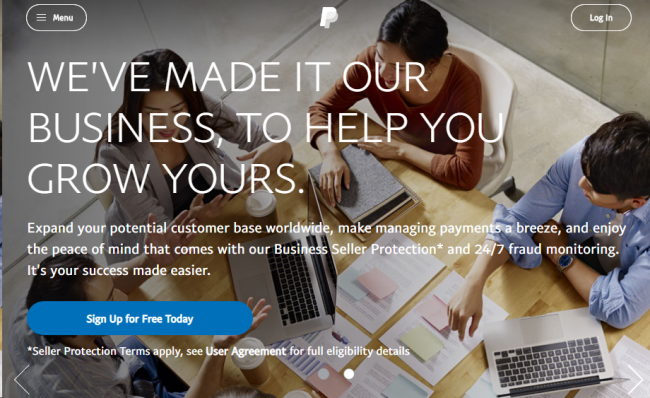 You can grab a merchant account on PayPal through a couple of easy steps; have your business address, phone number, and bank details on hand, and just apply for one. Your hosting provider can even provide you with a merchant account. 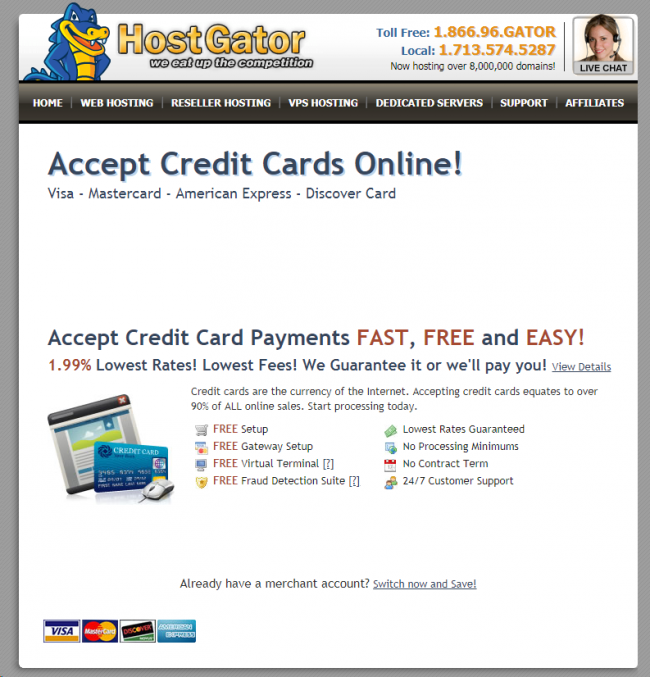 For instance, if you pick HostGator as your hosting platform, you can process credit card transactions through their services. 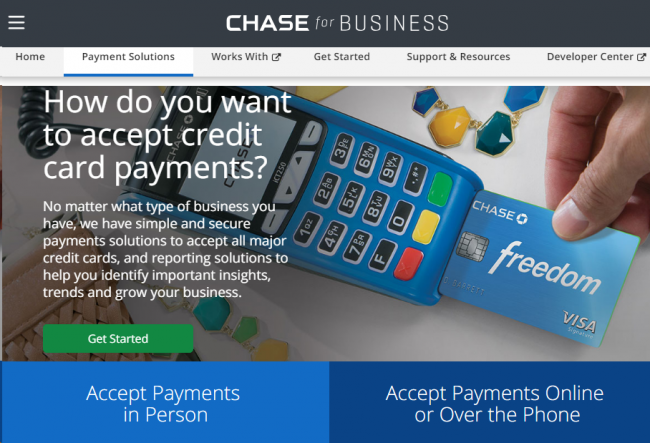 Larger banks such as Chase can also provide you with a merchant account. 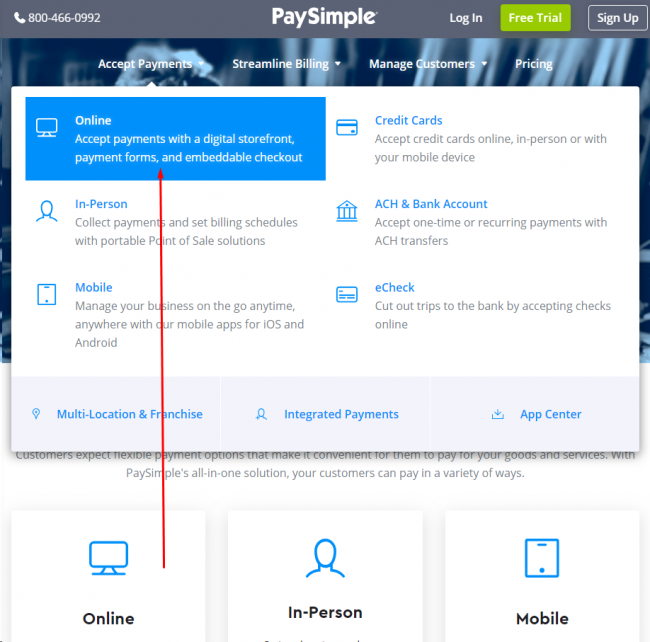 If you want services that are centred towards smaller businesses you can always opt to look into the services of the likes of PaySimple. These services can also be integrated with mailing solutions such as MailChimp and have applications that are centred towards reporting and customer management. Welcome to the internet and the myriad of ways of marketing your ecommerce store. We won’t be discussing every single marketing channel that is available but we’ll go through a couple that can kickstart your campaign! We do not need to remind you about how important social media marketing is in this day and age, but what we have to tell you is that your product is still platform dependent. What’s marketed on Instagram won’t necessarily mean that it will have the same success rate on Pinterest. Simply put, your product will choose its social media platform. For example, a video campaign will work better on Facebook because you’re usually on Facebook to waste time and the platform thrives on curated content. Are you selling a product that is being updated on the regular and you want to update your clientele on it? Then, Twitter should get the job done. If your product looks great and you want to display high-resolution photographs, you’re better off displaying these on Instagram. Pinterest is for photo guides that can help your consumer solve a problem with your product. But, stop for a second, this does not mean you won’t be able to utilize all these channels effectively. If you have a couple of products that could work well in any of these platforms, then choosing the right content for each platform could be the omnichannel that you are looking for. By this time you should have already set up a company email with different users depending on the purpose – as discussed earlier. It’s time for you to start building an email list in order for you to be able to contact your current and potential customers about offers that you may have. However, how do you really build an email list? One aspect of maintaining an online business that some people often neglect is getting your accounting done straight. This doesn’t necessarily mean that you should run out and hire the first accountant that you see but rather making sure that your finances are always in order. Maintaining your cash flow is one of the most important aspects of running an online store. You need to make sure that you have enough cash on hand to be able to replenish stocks on time when your inventories get depleted. Even moving cash from your merchant account to your bank account may take a couple of days and sometimes this could make or break you when it comes to providing the best for your customers. SEO is extremely important as the portal of the internet is the search engine. Appearing on top of Search Engine Results Pages (SERPs) should be a priority. Hiring an SEO specialist would be the best way to go about this but there are a couple of things you can do on your own. 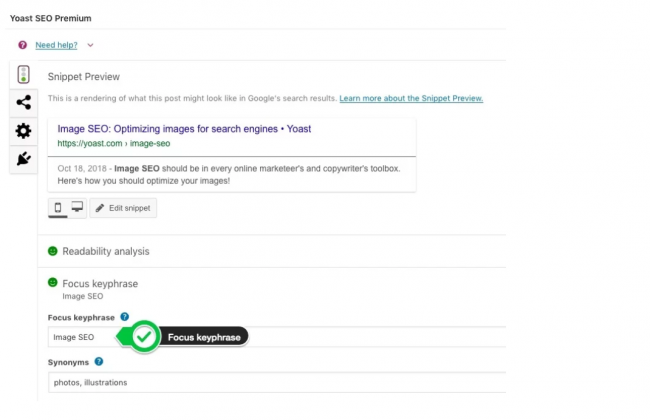 Having a plugin like Yoast can help make sure that the content that you are publishing on your website is optimized to rank higher when a search is made for a particular keyword that your user is searching for. This is by no means a complete list – it’s more than a hundred – but you can refer to this as a pseudo quick checklist of things to watch out for. Make sure that you keep updating your site with fresh content, not only because of the fact that this is a ranking factor, but it also helps your site rank for other keywords as well. Great ways of doing this for ecommerce websites are to create buyer guides, product guides, and anything as simple as updating your blog. You can also use this content to market your website on other platforms, don’t we all love fresh content on our social media pages? Then, why not do the same for your ecommerce website. Make sure that you pay attention to the analytics that you are getting. 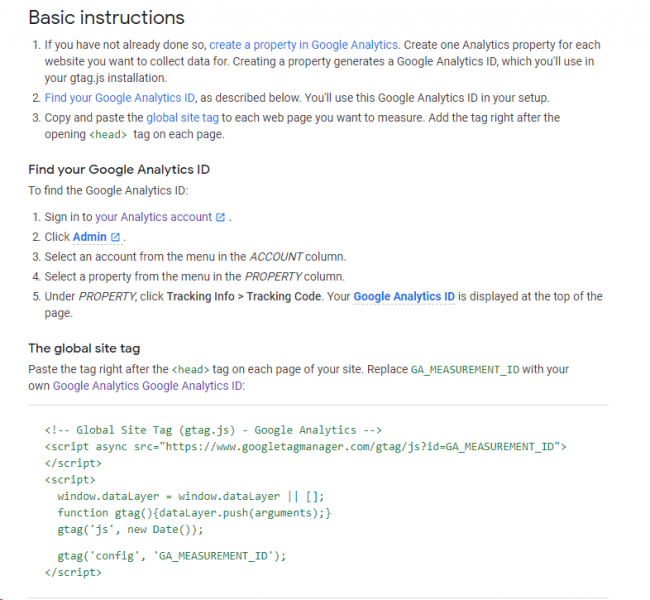 You can do this by installing Google Analytics onto your website. 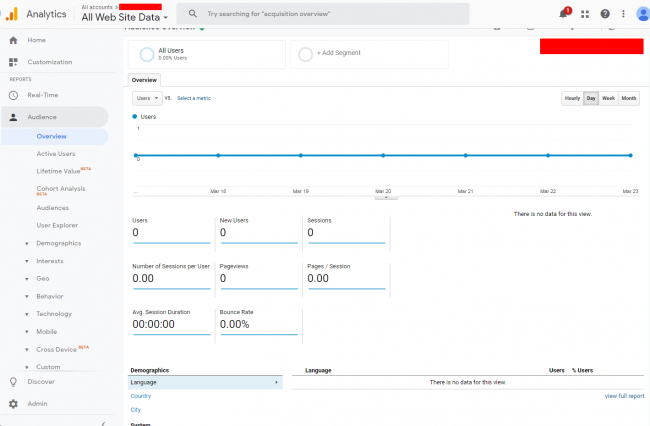 This allows you to check how many people are currently on your site and other details such as specific demographics for a particular period in time. The other great thing about having Google Analytics is that you will be able to find out which pages are performing desirably. For example, if you find out that a buyer’s guide on a particular product is garnering a lot of views, you can take advantage of this by making sure that you come up with supporting content. 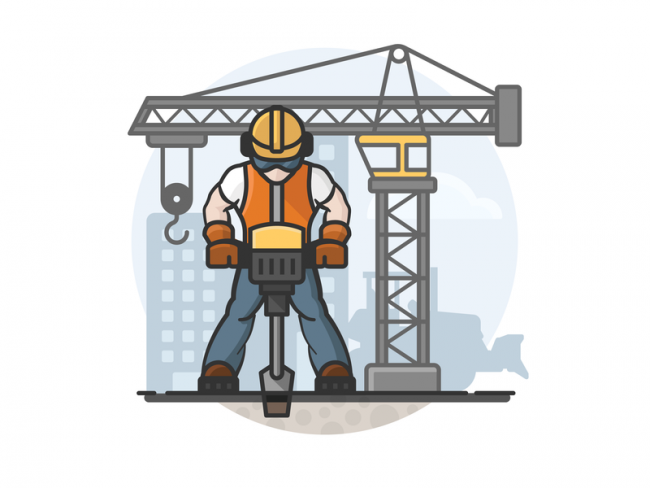 Site maintenance can get a little complicated if you’re not awfully familiar with how everything in a website works, but there are simple maintenance procedures that you can pull off on your own. Make sure that your hosting provider can handle the amount of traffic that your site is receiving, once you notice your customers are piling in, it’s probably time for you to purchase upgrades. The rest is just standard procedures of constantly updating your content, dealing with 404 errors through Google Webmaster tools, and ensuring that your site is secure. Since we are talking retail you would really want to make sure that your website security is top-notch. There is nothing worse than losing customers due to a breach in security. Hackers are getting even craftier and even though there is no full-proof way of securing your website, we do have a couple of “hacks” ourselves. Always make sure the software and plugins that you use on your website are consistently updated. 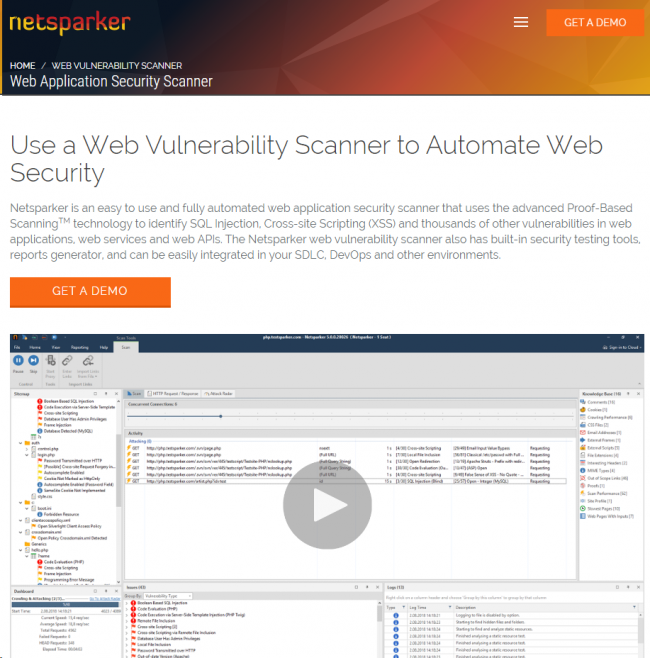 Make sure you are protected from XSS attacks and that you check for SQL injections. Your policies on returns, refunds and warranties have to be pretty solid as well because one of the biggest obstacles to growth is a lax policy on these issues. Two years ago, around 10 per cent of all purchases made in the United States were returned. That’s about $351 billion in returns. Even if we’re referring to both ecommerce and physical store numbers combined, it’s still a pretty hefty statistic to consider. This only means that you really have to work on the policies that you have to limit the hassles that you band your potential customers will have to endure in the future. You’re probably wondering why we would spend so much time on a customer that would want to return a product that you’ve sold them and where at most times you would be eating up the shipping costs back. Did you know that according to a study in the Journal of Marketing, offering free shipping on returns has the potential of increased sales of about 357 per cent? Personalize your policy – it has to cater to the business that you have and the customers that you are serving. Do not ever try to keep it a secret – make sure it’s on the emails that you’ll send after the purchase that they make and that it also has a special place in your ecommerce website. Keep it simple – people do not generally like being told what to do, so do not use words they won’t understand without their lawyer and as usual with everything in life, keep it short and sweet. Make sure that you’re clear – your policies should clearly communicate what you expect of the customer and what they would expect from you. Provide a flow – this is a great way to show the customers that you are serious in what you do and so they won’t bug you if something goes out of line or is late on your end. Get legal help – make sure that you get a law professional to look over your policy afterwards. Remember that your policies are part of the image that you want to create online and that it is also a reflection of your brand. In all honesty, we’ve tried to keep this as brief as possible, and there is a lot more that could have been covered in-depth, but this guide should be enough for you to jumpstart your online retail business. So we wish you all the best in starting the next chapter of your life!